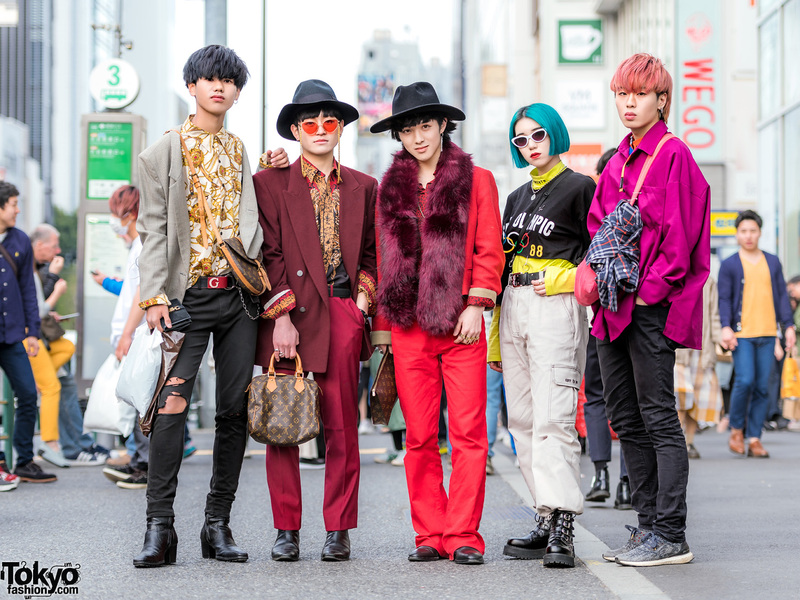 Harajuku guys sporting their stylish takes on street dressing with leather vests. 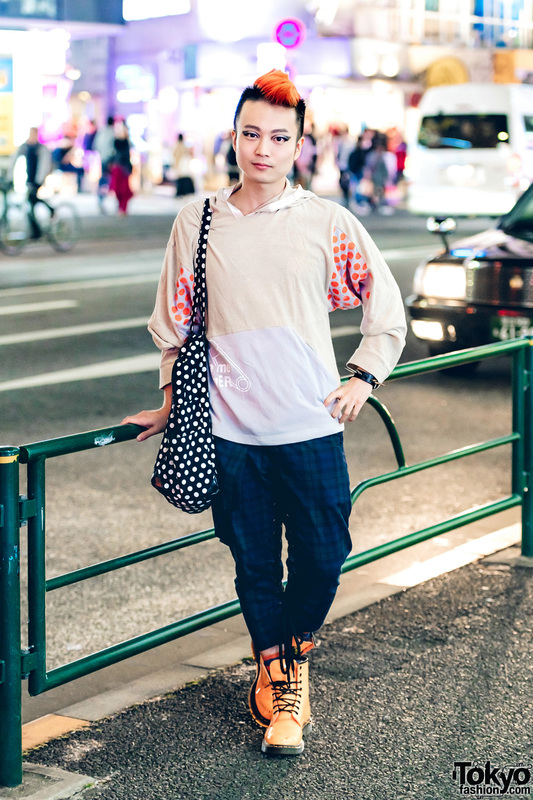 Harajuku girl in red, green and black fashion wearing an embroidered top, a plaid midi skirt, heeled baby doll shoes, heart handbag, a head dress, leather cuff, and silver ring. 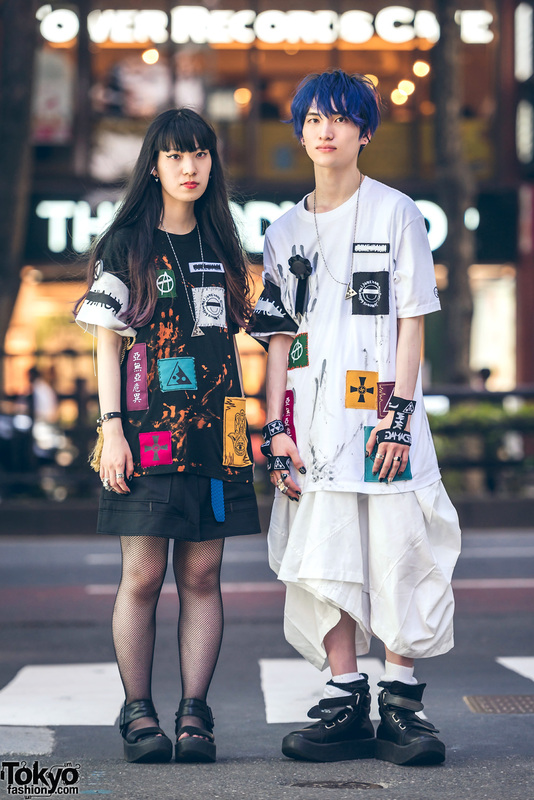 Harajuku duo in all black and checkered fashion with black shirt, pants, socks and high top sneakers, green sweater w/ cutout sleeves, midi skirt, ruffle socks and sneakers.